Yes, I know Mother’s Day is still a week away. But if you know me, you will be well aware of my Starbucks addiction. We’ve been considering making this purchase for months, and have browsed the coffee maker aisles of every store in South Jersey. I almost bought one this morning at Target, but, as I have every other time, I walked out without one. Then we went to Costco. 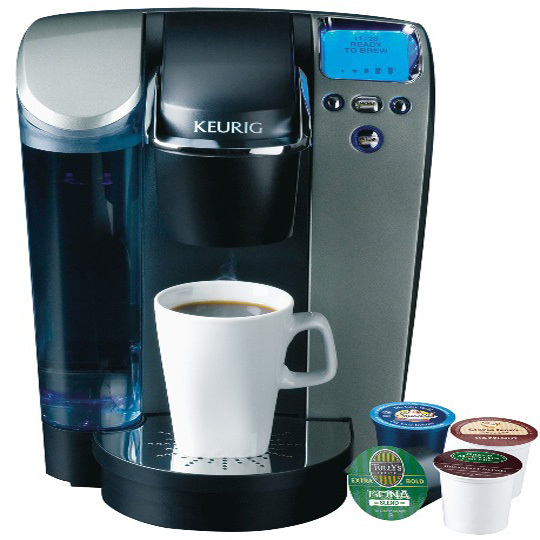 And there it was – the Keurig deal too great to walk away from. So we took the plunge! And tonight, for the first time, I made coffee! Now, even if you know me, you may not know that despite my frequent (sometimes twice daily) trips to Starbucks, I do not like coffee. My drink always has extra pumps of coffee flavor killing syrup. That was my biggest concern with the Keurig. 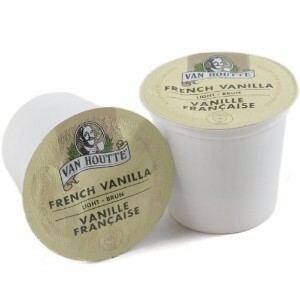 With the enormous variety of flavors, I was bound to find some that I liked, and in the variety packs that came with my purchase, I found a French Vanilla that was tasty. I didn’t want to have to figure out the coffee maker and the milk foamer with company here, so I just added cold milk and some Splenda, and it was a reasonable facsimile of my beloved latte. With a little practice, it will be perfect! The machine was super easy to use, and I had coffee in a matter of seconds. Costco had a great deal – the Keurig Platinum B70, 60 K – Cups, and a personal K – Cup reusable filter (for brewing your own coffee) for $149.99. It was a great deal compared to the ones we looked at elsewhere. I’ll probably post another review in a few weeks, just to let you know if I’ve been avoiding Starbucks in favor of my Keurig, but I can’t imagine needing to hit up the ‘Bucks once I become a pro at this Keurig stuff. 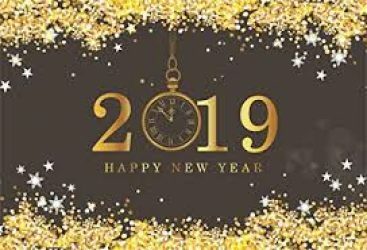 I’ll be saving so much money – it may mean more trips to Walt Disney World! Previous PostPrevious Fabulous Film Friday! Next PostNext Pixar’s BRAVE – Ya Gotta Love a Kilt!